There's a lot to be said for software that just works. 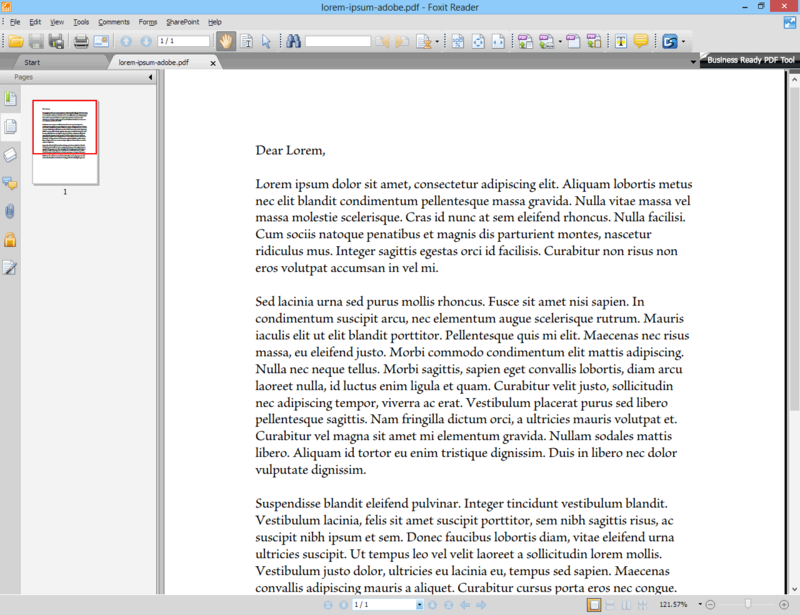 That isn't to say that Adobe Reader doesn't work, but it has a lot of baggage attached to it that Foxit Reader doesn't. As a result, Foxit is significantly smaller and faster. The new ribbon interface for Foxit Reader puts the common functions in easy reach. The actual functionality is pretty straight-forward. 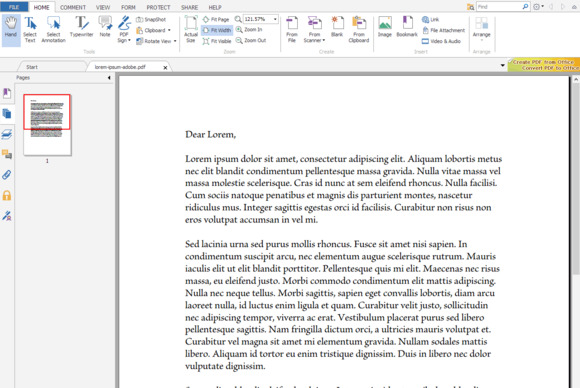 It reads PDFs, and it comes with a PDF printer so you can actually create PDFs for free, too. It supports a few optional features like filling out PDF forms, but for the most part it sticks to one task and does it really well. You have a choice between a modern ribbon user interface or a classic menu-and-toolbar interface. However, before you download, there are two important provisions. First, Foxit Reader 6.0 will install adware into your browser by default, if you let it. It's opt-out, so as long as you uncheck the box during the installer, you can avoid it easily. When I installed it, I double-checked to confirm that the installer honored my opt-out preference. Second, if you happen to actually need to open PDFs that contain Adobe Flash animations or 3D CAD drawings, you're still going to need Adobe Reader around for that. Fortunately, the vast majority of PDFs people use are pretty boring: user manuals, newsletters, maybe the odd Dungeons and Dragons character sheet. Foxit Reader is going to do the job perfectly for any of those. Don't worry, ribbon-haters. You can enable classic mode in the settings. 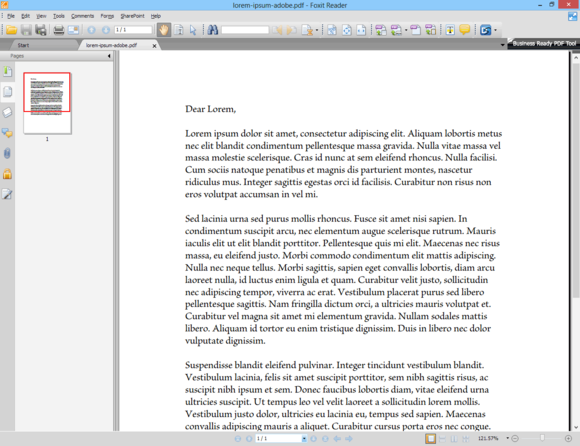 If you've had bad experiences with Adobe Reader and want to try an alternative, Foxit Reader comes highly recommended. 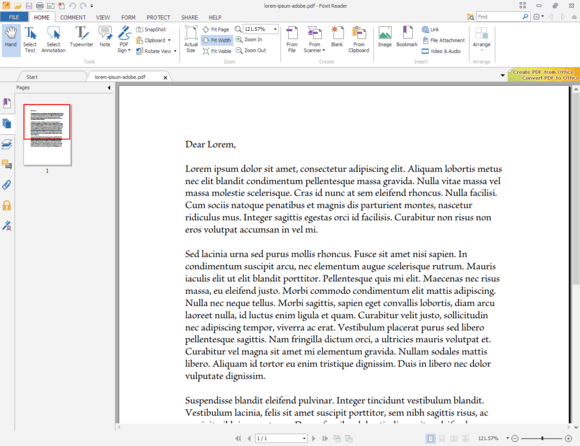 Foxit Reader is free, it's lightweight, and historically it has been less problematic than Adobe Reader.